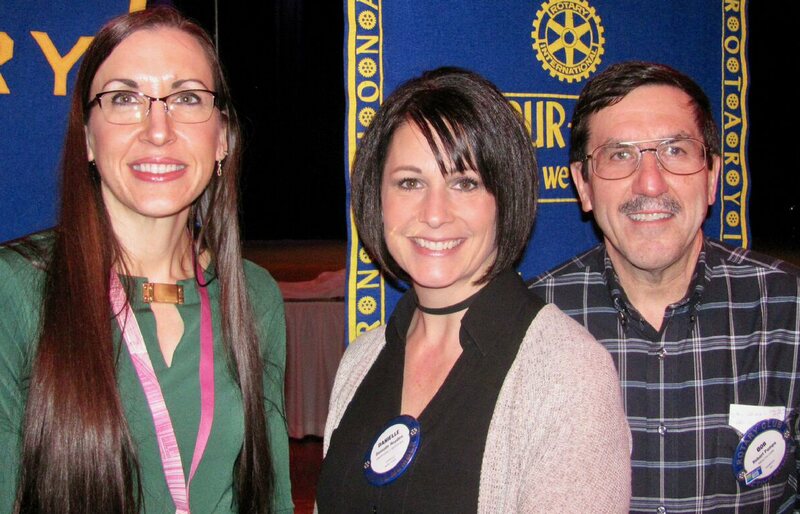 OSWEGO, NY – The Oswego Rotary Club recently hosted Olivia VanSanford, program director for the Center for Wound Healing at Oswego Hospital. Pictured are: Olivia VanSanford, President Danielle Hayden and Bob Pompo. This new initiative offered by Oswego Health will have a center located on the third floor of the hospital with an opening date of June. The purpose of the center is to provide local dedicated services to healing chronic wounds. The center will be staffed with a unique team of physicians, nurses and therapists.